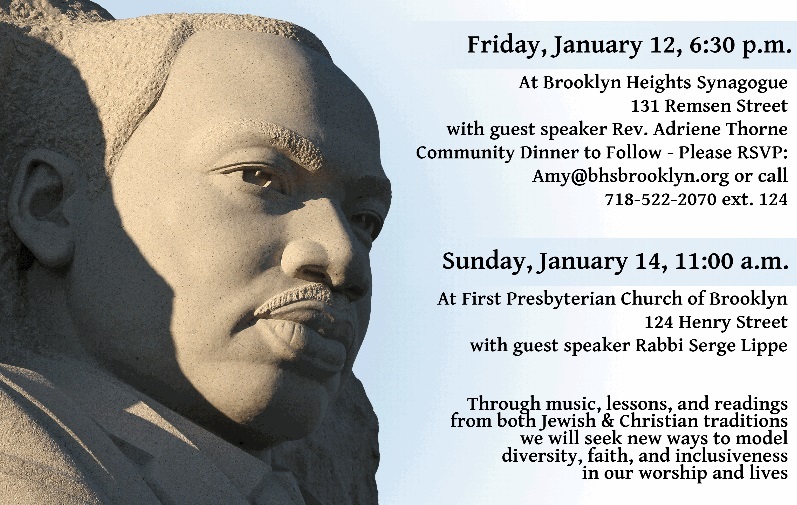 Brooklyn Heights Synagogue and First Presbyterian Church of Brooklyn will jointly host musical interfaith services to commemorate Martin Luther King Jr. weekend. At BHS this Friday, Jan. 12 at 6:30 p.m., the soul-stirring BHS and FPC choirs will perform together and the inimitable Rev. Adriene Thorne of FPC will bring the word. At FPC on Sunday, Jan. 14 at 11:00 a.m., the choirs will rouse the congregation and the incomparable Rabbi Serge A. Lippe will deliver the word. At a time when religious bans are normalized, when the protected status of immigrants is in jeopardy, when neighbors are feeling left out, left behind, and left on their own, Interfaith relationships matter. As a person of faith who follows a Jewish rabbi named Jesus, I put great value in my Interfaith relationships and what they make me question and better understand about Christianity. 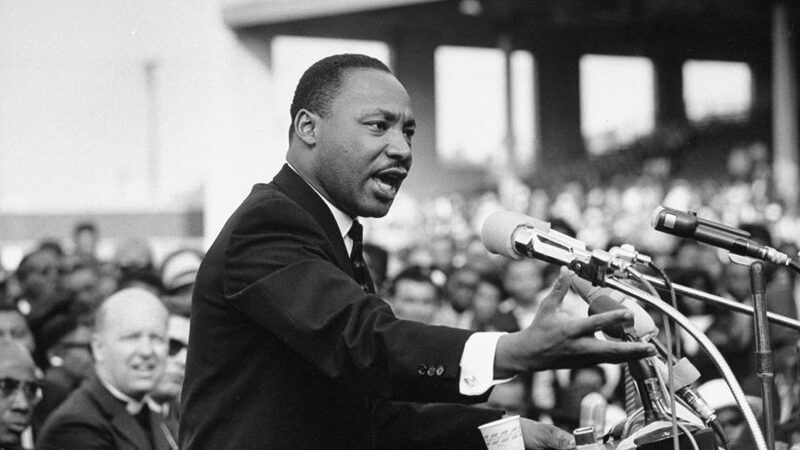 I am a better Christian because I spend time with Muslims, Jews, Sikhs, Hindus, Buddhists and people of no faith. All are welcome. See flyer below, the BHS website, and the FPC facebook page for more details.